Our fitness experts with over 100,000 hours of experience will help you achieving your training goals. Use your home fitness equipment or train with your body weight. 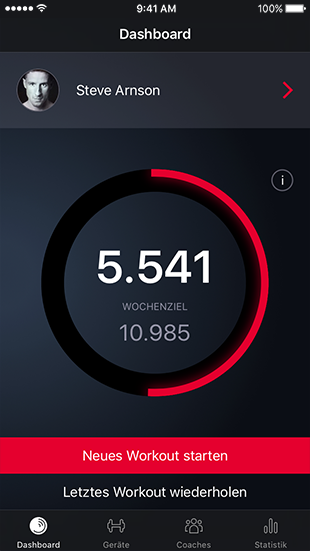 The ZANUM fitness app becomes better with each workout you do and leads you more and more targeted through your training. I have been practicing athletics for 12 years, was German runner-up in the sprint, danced Latin and standard and did fitness training ever since. After my qualification as a fitness manager, I have been working in the field of group fitness for more than 15 years and I'm giving individual personal training lessons. Train with me inside the ZANUM fitness app to get an athletic and strong body. I have been a fitness expert for more than 20 years. I studied at the Sporthochschule Cologne. After my time as a personal trainer at Holmes Place, I founded NAO PT, as well as the charity running project "42tausend" and the triathlon club MACH3 Köln e.V. Today I do mainly group and company fitness. 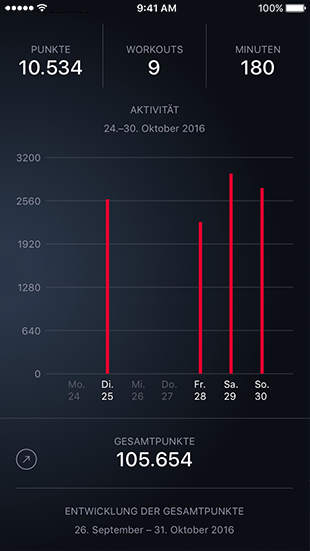 Within the ZANUM fitness app I´ll show you my most effective exercises. As a child I loved all kinds of sports. Later I decided to study at the Cologne Sporthochschule to expand this passion for sports even further. 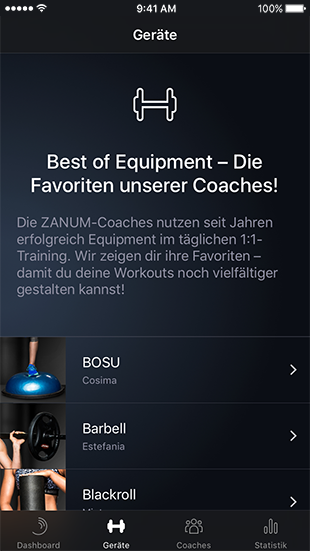 I´m happy tp be part of the ZANUM fitness app and to train with you. I started playing tennis at the age of 4 years. Shortly afterwaords I started horse riding, swimming, hip-hop dancing and martial arts (kung-fu). For me, fitness is an expression of self-discipline and an opportunity to grow beyond myself. It´s also an effective balance to everyday´s life. I love the feeling of being fitter and more active. That´s why I listen carefully to the demands of my clients an within the ZANUM fitness app I´ll show you the most efficient way towards your goals. As a child, I admired athletes who could do the "human flag". Today, this is part of an international phenomenon called "street workout" or "calisthenics". I founded Baristi Workout, one of the most famous street workout and calisthenics groups, and am the organizer of numerous events like King of the Bar, World Cup Stage Offenburg / Stuttgart and many more. Make me your coach within the ZANUM fitness app and I´ll teach you the best bodyweight exercises. Since 2005 I am working in the field of sports and fitness. Until now, I completeted many education levels. With my partner, the sports scientist Felix E. Malzahn, I run two boxes at CrossFit 0211 in Düsseldorf and CrossFit MG in Mönchengladbach. I coach both, individuals and groups in the crossfit, yoga, rehabilitation and prevention - from untrained classes of all ages to well-known athletes. Let be your coach within the ZANUM fitness app. In my youth I won countless track and field competitions. There were ups and downs during my career as a performance athlete that shaped me and my understanding for people. I know how to walk in my client´s shoes and I want to show you my best training methods and exercises within the ZANUM fitness app. Since June 2013 I am Germany's first female fitness trainer (Strength & Conditioning) of a national league ice hockey team - the Hamburg Freezers. Before, I trained the U.S. Army special forces. My workouts are hard, I eat clean, and I want you to become more slender and stronger using the ZANUM fitness app. I am very diligent, ambitious and optimistic. 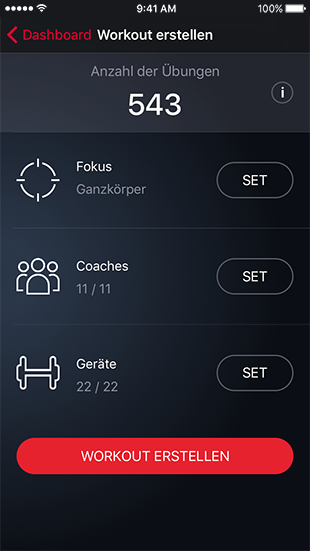 My passion for sports and my knowledge as coach, I want to share with you inside the ZANUM fitness app. I have already pursued performance sports since my early youth. From 2006 on, I have been working as a personal trainer and I am the founder and owner of AREA2 PERSONALTRAINING, which was established in 2012. 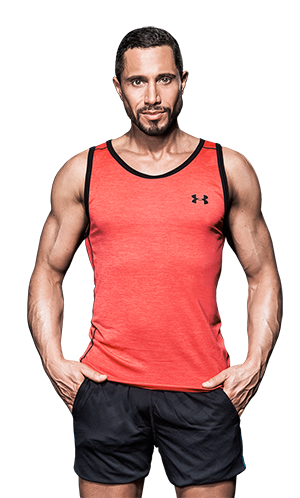 I am a presenter, instructor and lecturer for Europe's largest fitness academy, the IFAA, and give trainings, workshops and educational lessons at home and abroad. For intense and complex full body workouts, make me your coach within the ZANUM fitness app. I am a full-time fitness trainer, strength and condition coach of professional athletes and known as "Germany's toughest fitness trainer". I live and love my profession. And raise my bar to provide top quality trainings to my clients. Take your chance and train with me inside the ZANUM fitness app to get an athletic body. ZANUM, the digital coaching intelligence, as as close to a personal trainer as never before. No matter if you´re a youngster or best-ager, beginner or professional. 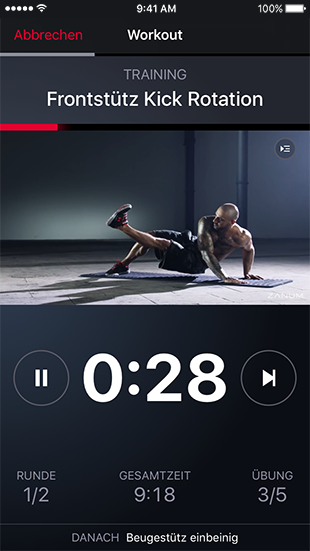 With each session, the ZANUM fitness app will train you more and more targeted. Well over 500 detailed exercises allow an almost infinite number of fitness workout combinations. You're becoming fitter while your weekly goals are increasing. Before each workout, you decide which home fitness equipment you want to train with. 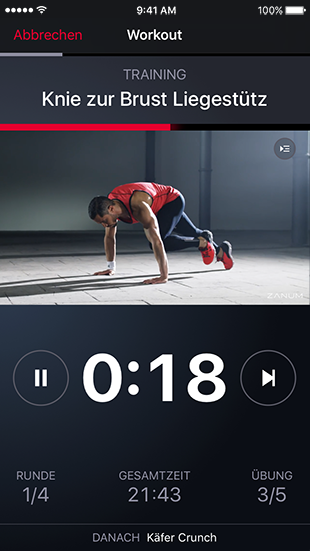 Each individual fitness exercise is explained to you by a coach in a high-quality video. The ZANUM fitness coaches have been using equipment in daily 1:1 training. We have their favorites - to add even more versatility to your workouts. Try the ZANUM fitness app 14 days for free. Keep yourself fit and your purse filled. Choose a subscription model that suits you. At home or on the go, in the gym or outdoor - the ZANUM fitness app works everywhere and is easy and intuitive to use. Get motivated and inspired by your personal coach.